A contact lens with a built-in sensor could help doctors determine which glaucoma patients have a higher risk of disease progression, according to a new study. The researchers found certain patterns of electrical signals emitted from the “smart” contact lenses correlate with a faster rate of glaucoma progression. Glaucoma remains a leading cause of blindness and using these findings, clinicians can better estimate the risk of progression by looking at a read-out from the smart lens. “What we see in these measurements is a signature that indicates which glaucoma patients will get worse and which are relatively stable, which you can’t do with a one-time eye pressure measurement,” said study author C Gustavo De Moraes, associate professor of ophthalmology at Columbia University Medical Centre in the US. The findings, published online in the journal Ophthalmology, could also have implications when using the lenses to evaluate glaucoma treatments. 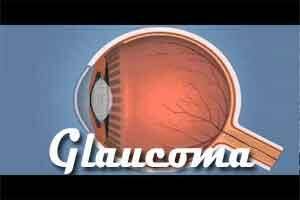 One of the main indicators of glaucoma is high pressure in the eye, or intraocular pressure. Doctors often check eye pressure to gauge a patient’s eye health. However, these tests yield a single snapshot in time and are impractical to perform at night when eye pressure typically rises. With the advent of smart contact lenses that monitor patients continuously, scientists are hoping to solve this problem. For this study, the researchers tested the lenses on 40 patients aged between 40 and 89 undergoing treatment for open-angle glaucoma, the most common form of the disease. The patients wore a smart contact lens for 24 hours, including overnight as they slept. The lens’ sensor detects changes in lens curvature. As eye pressure fluctuates, the curve changes, generating an electrical signal sent to a wireless device that records the signals. Similar to how an electrocardiogram shows a heartbeat, the profile of signals from the smart lens indirectly shows eye pressure changes over time. Investigators found that patients with steeper spikes recorded overnight and a greater number of peaks in their signal profile overall tended to have faster glaucoma progression.